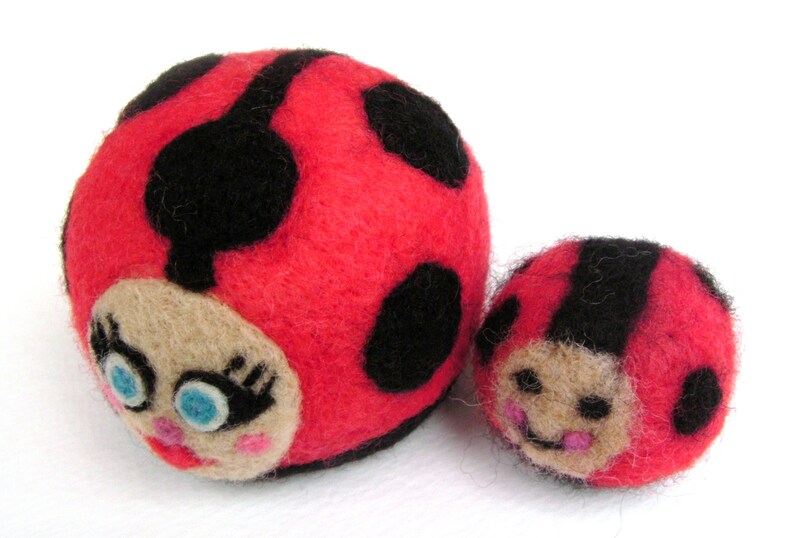 Children Can Needle Felt Too! 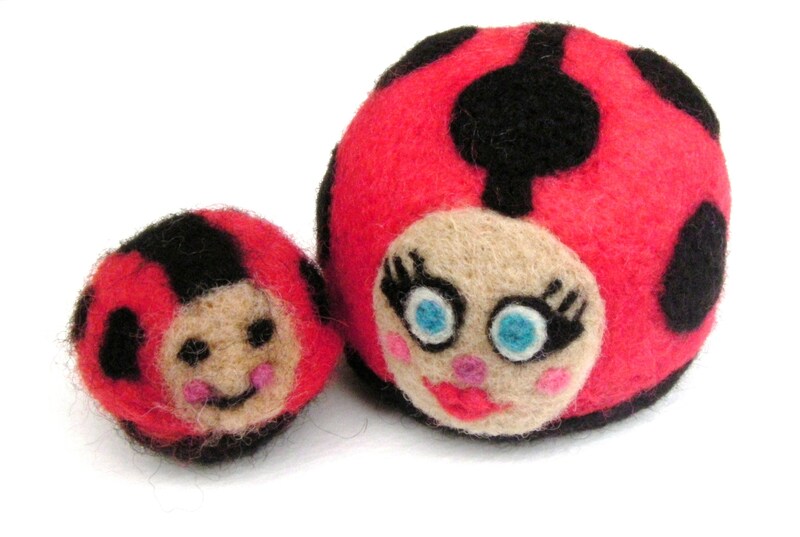 A few days ago I sat down to needle felt a ladybug, and my eleven year old daughter asked if she could practice needle felting as well. 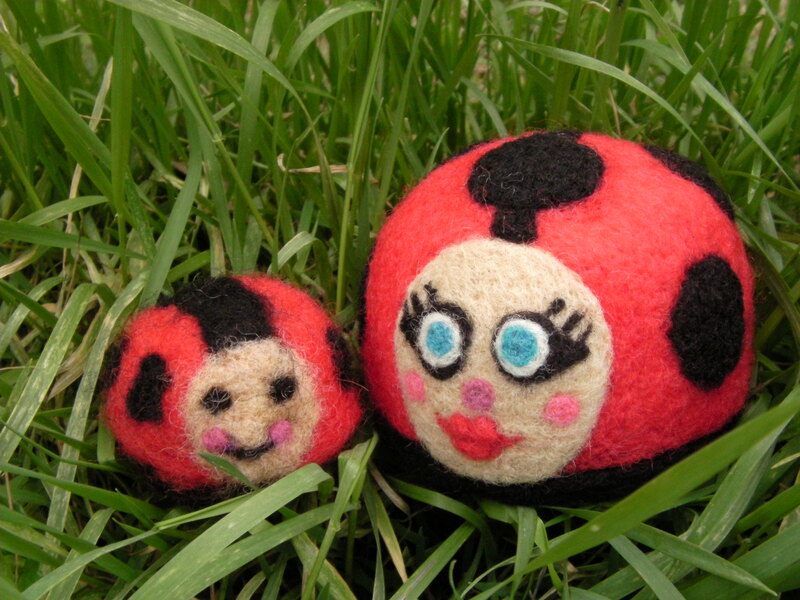 This was her second felting project and she decided to felt a ladybug just like me. I think it turned out very well! Our styles seem to compliment one another. 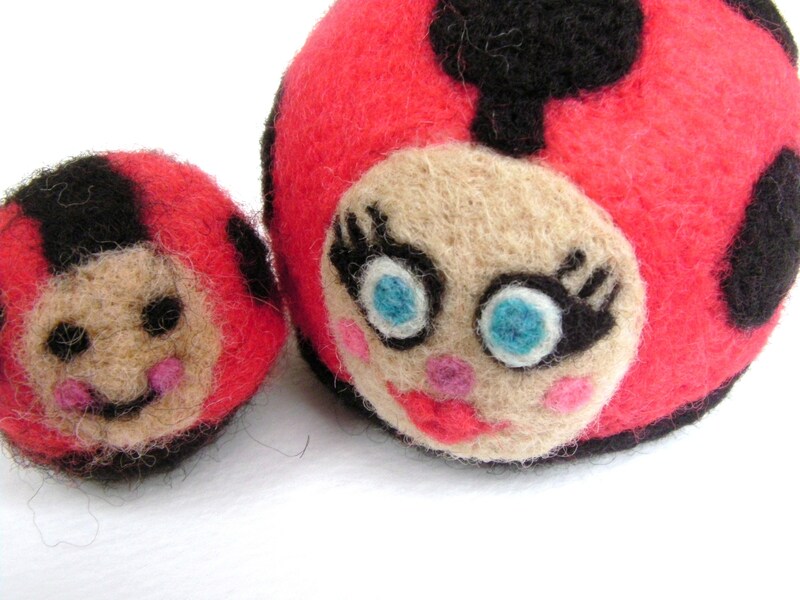 When she first approached me about learning how to needle felt a few months ago, I was a bit apprehensive. After all, the barbed needles are extremely sharp and I had pierced myself on more than one occasion. I decided to let her try, reassuring myself that if she could manage a sewing machine that she could manage a needle moving with her own applied force! I am so happy that I let her try felting! Now I’ve got a little buddy to sit with me while I felt. I’m no longer the loner on the sofa with my big felting kit watching Y&R. I’ve got a little friend. As we complete different stages of our project we can share our accomplishments. It is really fun. I’m not sure what age is appropriate for introducing this craft; but for my daughter, at 11, it seems just right. I would still not recommend this for any children under school age. This should be utterly obvious, but I want to make sure everyone is as safe as possible! Give it a try with your own children; evaluate their level of fine motor skills and decide when it’s right. It is a rather inexpensive craft and the benefits to the child definitely outweigh the cost. I think it is a great way for children to learn that they can make something with their own two hands!